The United Nations Secretariat entity the Office for Outer Space Affairs (UNOOSA) works to promote international cooperation in the peaceful use and exploration of space, and in the utilisation of space science and technology for sustainable economic and social development. The Office assists any United Nations Member States to establish legal and regulatory frameworks to govern space activities and strengthens the capacity of developing countries to use space science technology and applications for the implementation of the Sustainable Development Goals. The United Nations Office for Partnerships (UNOP) serves as a global gateway for partnerships to advance the implementation of the 2030 Agenda. UNOP provides a platform for effective partner engagement to support the UN system as it connects with the private sector, civil society and other key stakeholders in a drive for success on the Sustainable Development Goals. The International Astronautical Federation (IAF) (French: Fédérationinternationaled’astronautique) is an international space advocacy organisation based in Paris, and founded in 1951 as a non-governmental organization to establish a dialogue between scientists around the world and to lay the information for international space cooperation. It has over 300 members from 66 countries across the world. They are drawn from space agencies, companies, universities, professional associations, government organizations and learned societies. It is linked with the International Academy of Astronautics (IAA) and the International Institute of Space Law (IISL) with whom the IAF organises the annual International Astronautical Congress (IAC).The IAF also organises the ‘Global Conferences’ series, with the Global Lunar Exploration Conference (GLUC 2010) in Beijing, the Global Space Exploration Conference (GLEX 2012) in Washington DC, Global Space Applications Conference (GLAC 2014) in Paris, Global Space Innovation Conference (GLIC 2015) in Munich, and the upcoming [Global Conference on Space and the Information Society]  [GLIS 2016] in Geneva. Working in close cooperation with the United Nations, the IAF also organises the Space Workshop for Developing Nations. With the Committee on Space Research and the International Institute of Space Law, the IAF also conducts an annual survey of Highlights in Space for the United Nations. 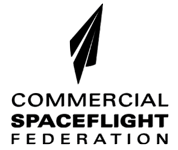 The Commercial Spaceflight Federation is a private spaceflight industry group, incorporated as an industry association for the purposes of establishing ever higher levels of safety for the commercial human spaceflight industry, sharing best practices and expertise, and promoting the growth of the industry worldwide. Issues that the Commercial Spaceflight Federation work on include, but are not limited to, the STIM-Grants program for spaceport infrastructure, FAA regulations and permits, industry safety standards, public outreach, and public advocacy for the commercial space sector. 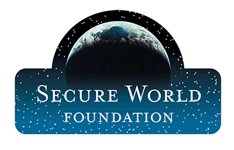 Secure World Foundation envisions the secure, sustainable and peaceful uses of outer space contributing to global stability and benefits on Earth. The mission of the Secure World Foundation is to work with governments, industry, international organizations, and civil society to develop and promote ideas and actions to achieve the secure, sustainable, and peaceful uses of outer space benefiting Earth and all its peoples. SWF was granted observer status to the United Nations Committee on the Peaceful Uses of Outer Space (COPUOS) in June 2008, and chairs the International Astronautical Federation (IAF) Space Security Committee, which explores space security issues in the broader space community. The Space Frontier Foundation is an American space advocacy non-profitcorporation organized to promote the interests of increased involvement of the private sector, in collaboration with government, in the exploration and development of space. Its advocate members design and lead a collection of projects with goals that align to the organization’s goals as described by its credo. 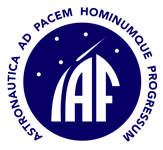 The Space Frontier Foundation is an organization of people dedicated to opening the Space Frontier to human settlement as rapidly as possible. Its goals also include protecting the Earth’s fragile biosphere and creating a freer and more prosperous life for each generation by using the unlimited energy and material resources of space.Its purpose is to unleash the power of free enterprise and lead a united humanity permanently into the Solar System. State Space Corporation ROSCOMSOS was established as a merger of Roscosmos and United Rocket and Space Corporation, as the re-nationalized Russian Space Industry. Commonly known as Roscosmos, it is the authorized Federal executive Space agency. 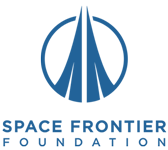 The Agency pursues State policy and legal regulation, provides state services and manages Space assets, as well as manages international cooperation on joint Space projects and programs. The Headquarters of Roscosmos are located in Moscow, while the main Mission Control, in the nearby city of Korolev. The Yuri Gagarin Cosmonaut Training city is based in Star City. Roscosmos has also been responsible for the coordination of activities and launch facilities at the Baikonur Cosmodrome in Kazakhstan. The newly established Vostochny Cosmodrome in Russia’s Far East in Amur Oblast, to be completed in 2018, is intended to reduce Russia’s dependence on the Baikonur Cosmodrome. SUPARCO, Space and Upper Atmosphere Research Commission, is the National Space Agency of Pakistan. Established in 1961 as a Committee, it was granted the status of a Commission in 1981. The International Peace Bureau (IPB), was founded in 1891-92, as a result of consultations at the Universal Peace Congress and is dedicated to the vision of a World Without War. Over the years, IPB have worked on a wide range of Peace promotion topics, including Nuclear Weapons, arms trade and other aspects of disarmament; Peace Education and Culture of Peace; Women and Peace-Making; Peace history; as well as related themes such as International Law and Human Rights. IPB was awarded the Nobel Peace Prize in 1910 and in over the last 100 years or so, 13 of its officers have been recipients of the Nobel Peace Prize. IPB participates in the Annual Summit of Nobel Peace Laureates in the City of Rome. IPB also makes an annual nomination for the Nobel Peace Prize. IPB’s membership body comprises 300 organisations in 70 countries, together with individual members, to form a global network of experts and advocates working on similar issues, to create strong civil society movements. Integrity. Quality. Commitment. Professionalism. These were the four pillars on which AAA Construction Equipment was established by Col. Salim A. Nasir—an astute a businessman, a leading authority and mentor to aspiring young talent in the field, during the boom of the Gulf in the 80’s. Col Salim A. Nasir’s wife, Nahid Salim, laid the foundations of the company with him. Three decades on, AAA’s timeless commitment to quality, innovation and durability has made it one of the leading brands in the construction equipment industry. Specialising in the management, sales and rental of construction equipment in the Middle East, AAA’s state-of-the-art equipment, exceptional repair, maintenance, rental and field service capabilities serve the petrochemical, oil & gas, electromechanical, seaport, marine and ship-repair industry to name a few. AAA is the distributor of new IHI Hydraulic Lattice boom crawler cranes and telescopic boom crawler cranes, the supplier of Japanese Nippon Sharyo Generators, Western Global products, the authorized service partner for Rusch in the UAE and leads the Certified Tadano Pre-owned Cranes (ACTPC) Program in the UAE. Today, Col. Salim A. Nasir’s sons—Nabil Salim and Sajil Salim manage the operations sharing the same ethos as their father—expanding AAA to new horizons. 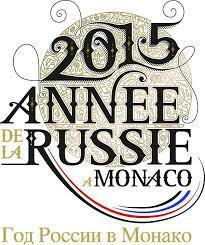 “2015 – Russian Year in Monaco” was a celebration of the historic ties between the Russian Federation and the Principality of Monaco. Prominent Russians, aristocrats and artistic impresarios played an important part in the life of Monaco in the 19th and 20th centuries. Space Trust’s inaugural event “Space New Frontier for Peace – A Tribute to Russian Spaceflight – From Yuri Gagarin to the ISS and Beyond” on 29th November 2015, was held under the Patronage of the Embassy of the Russian Federation to France and the Principality of Monaco. The services of Monaco Tourist and Convention Authority are available all over the world. It provides expert advice and promotes the Principality and all its tourism entities to help plan and implement, not only holidays in the Principality, but also business tourism, conferences, seminars, incentive trips, exhibitions, festivals and international trade fairs. With the State of Monaco as its main shareholder, the resort “Monte-Carlo Société des Bains de Mer (SBM)” counts on a staff of almost 3,000 employees and manages a unique heritage throughout the world. Its activities extend to various areas relating to tourism, leisure and business, casinos, gastronomy, well-being, culture, sports and entertainment. ‎It owns 4 casinos, including the famous Casino de Monte-Carlo, 4 hotels which are ranked among the finest in the world and have won awards from East to West – Hôtel de Paris Monte-Carlo, Hôtel Hermitage Monte-Carlo, Monte-Carlo Beach and Monte-Carlo Bay Hotel & Resort, more than 30 distinguished restaurants, Les Thermes Marins Monte-Carlo – one of Europe’s most beautiful spas‎, trendy and festive addresses and the legendary night club, Jimmy’z. The “Société des Bains de Mer (SBM)” offers its guests the “Monte-Carlo” signature, for a new art of living – unique throughout the world. The Brasserie at the Café de Paris Monte-Carlo is the most popular venue for a “rendez-vous” in Monaco. A warm ambiance and a decor featuring Belle Epoque style windows with accents of the old Parisian bistros, creates an informal –yet, chic atmosphere in the heart of Monte-Carlo’s legendary Place du Casino. Café de Paris is the official caterer of Space Trust and our high protocol private lunches, dinners and English afternoon tea parties, with the cuisine prepared by its famed Chef, Jean-Claude Brugel. The Hôtel Hermitage, built in the early 1900s, offers a peaceful ambiance and magical setting in the heart of Monte-Carlo, also referred to as the Golden Square. Overlooking the Mediterranean, this luxury hotel was the sumptuous venue for Space Trust’s inaugural event, held in November 2015. The Russian Centre for Science and Culture in Paris, France, is a representation of the Federal Agency for the Commonwealth of Independent States, the Russian diaspora abroad and the international cultural and humanities cooperation. 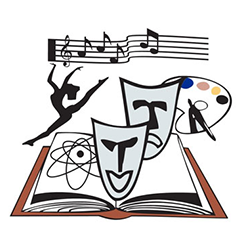 Its main purpose is the promotion science, culture, as well as teaching the Russian language. This is the oldest museum in the city of Kaliningrad, Russia, home town of Mr. Alexi Leonov who was the first person in the world to walk in Space. The main museum building is the former art nouveau town hall built in Koenigsberg in 1912 by the architect Richard Seele and restored from 1981-86. It has hosted the Kaliningrad Regional Museum of History and Arts since 1991. Space Trust’s event “Space New Frontier for Peace,” held during “2015 – Russian Year in Monaco” paid a tribute to the Russian Spaceflight programme and Alexi Leonov.